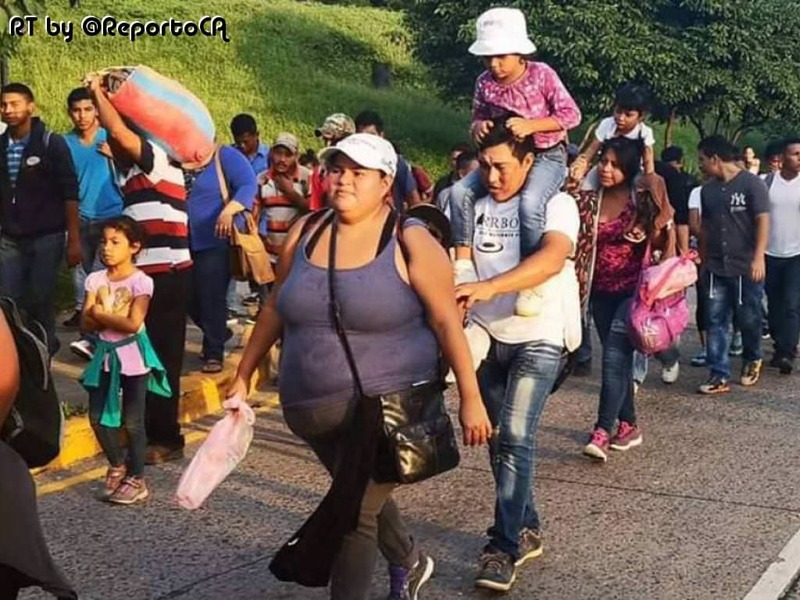 An estimated 2,500 - 3,000 Honduran migrants crossed into Guatemala on Monday for a second northbound trek to the US border in six months, following a tense standoff with police in riot gear. Rows of Guatemalan police in black uniforms, some wearing helmets and shields, initially blocked migrants from reaching a customs booth, Reuters images showed. It was not clear how long the standoff lasted, but the group was ultimately able to cross, said march organizer Bartolo Fuentes, a former Honduran lawmaker.A police official on site said all Central Americans could pass freely through the region as long as they complied with migration control. "I came not to bring peace, but a sword." I know the region. Once they hit Mexico, the government there WILL help them get across to diffuse them into the US. Watch as a bunch locals mix in to inflate the number of immigrants to twice that, at least. I wonder what they know? The NGO's who organize this should be put in jail for human trafficking. (10-16-2018, 08:16 PM)friedrich Wrote: [ -> ] The NGO's who organize this should be put in jail for human trafficking. It's been reported that the leader of the caravan is being arrested. It won't stop it, but it may slow it down with the fear that will permeate through the group. I hope he does stop all aid to Honduras and every other country who allows them to illegally pass through. Well, looking at this picture, these people don't appear to be "suffering" from any hardships to me.